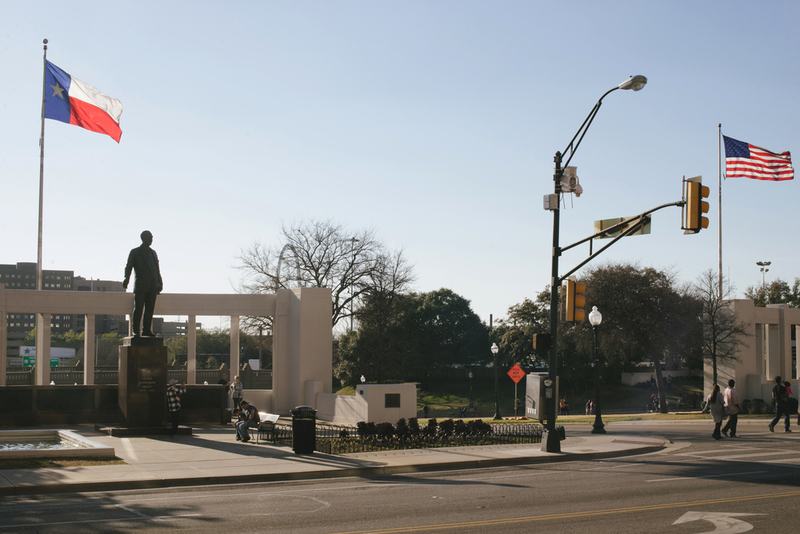 Dealey Plaza in Dallas is the home of the "grassy knoll," where President John F. Kennedy was assassinated on November 22, 1963. I spent some time at the intersection of Elm and Houston Streets, photographing this historical spot. Lee Harvey Oswald fired his rifle from the sixth floor of the Texas School Book Depository building, which is now known as the Dallas County Administration Building.